When you want to keep your lawn pristine and looking perfectly green, fungi might seem unsightly to you. Although mushrooms can be beneficial for the grass, releasing important nutrients to the soil, there are more concerning reasons for it to appear. These fungi might come from sawdust, grass clippings or dead tree roots. However, this might also be a sign that your lawn has problems in the drainage department. 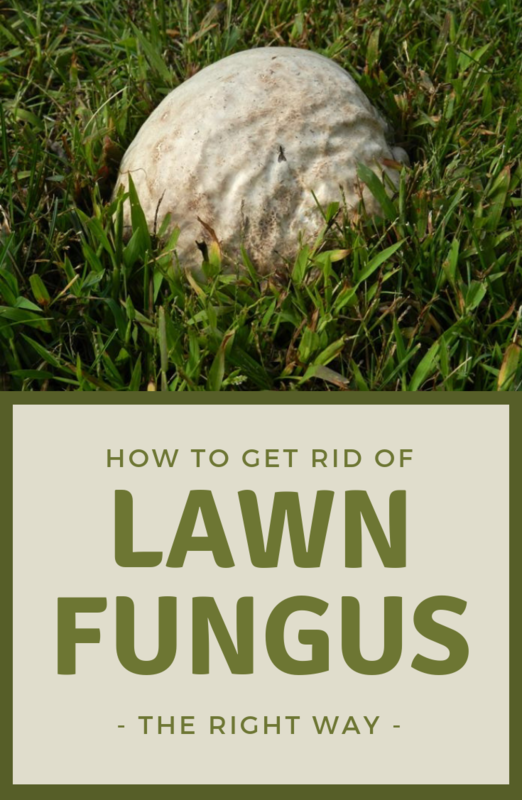 Thus, keep on reading and see more causes and natural treatments and methods you could try to get rid of fungi that shows up on your lawn. First of all, let’s take things easy. The best and quick method would be to simply remove them from the base. Thus, as soon as you see mushrooms popping up, pull them from the soil. Always make sure you are wearing gloves and glasses because you don’t know if they are poisonous. Even though it is a good method, this will only stop the spores from spreading. The main rooting problem might still be there. Hence, keep in mind that as you have less moisture, the chances are these fungi won’t show up again. However, there is a problem because you don’t want to cut off the watering source for your lawn. It is a conflicted issue but starting to remove the growing mushrooms, you might see an improvement. If there isn’t any, keep reading for more solutions. One thing you should know about lawns is that they don’t like shady areas. Thus, make sure you are pruning the trees to let the light get in. Furthermore, to provide a good air circulation, you could also use a plug aerator to increase drainage. This is another method you could use because the nitrogen will improve the rate of fungi formation and it will dehydrate the mushrooms, never coming back again. Last but not least, it is time to go even heavier with this dish soap method. It sounds more extreme but it is completely safe for your lawn. For this, you will need to make some holes around the areas where you notice mushroom growth. For optimal results, make sure you go at least 1 foot deep into the ground. Then, pull the mushrooms out and fill the hole with the mixture of 3 tablespoons of dish soap and two gallons of water. Mix it gently but make sure you don’t get that foam of soapy water. Next, simply pour the mixture into the holes and the dish soap will neutralize the fungi from growing back.